I recall the year that natural gas prices soared! Many people, relatives included, were unable to pay their gas bills as their bills had more than tripled. Can you imagine? Homeowners in the cooler parts of the US can end up spending hundreds of dollars a season (or a month!!) on heating costs. You can help reduce your energy costs by reducing waste. Those big glass openings that let in the sunshine and the view can be a big source of escaping heat. Glass conducts both heat and cold so you have heat escaping and cooler temperatures coming in. 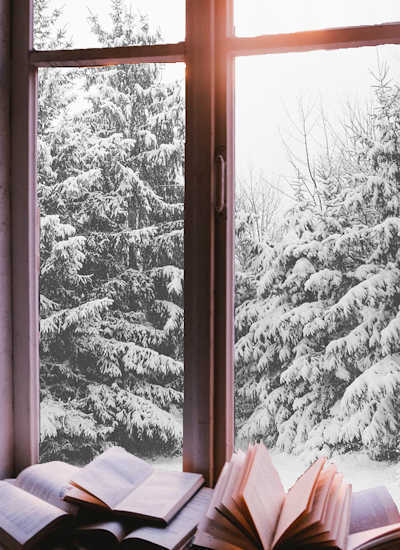 By utilizing replacement windows that are double or triple paned, and/or using storm windows, you’ll reduce the air movement thereby reducing your energy use. Do you leave the damper on the fireplace open even when you aren’t using it? Shame! You’re letting warm air escape! If you have a fireplace consider adding a blower. Of course, an electric blower won’t work if there is no electricity…!!! If you have a free standing stove consider adding blades to the stove pipe stand. This helps radiate the heat outwards towards the room. When it becomes time to replace a garage door (it happens) make sure you get the one with as much insulation value as you can afford. This will help reduce cold air seepage into the garage (and from there into the house.) You might be surprised at how usable your garage will become when the door is insulated. Not planning on replacing a garage door? There are insulation panels that can be cut to fit your garage door panels…. creating a radiant barrier. Stand alone heaters can be used as long as you don’t leave them on when you aren’t right next to them. One little portable heater won’t raise your electric bill too much as long as you’re mindful of how and when you use it. There are alternative heat solutions available such as pellet stoves. Don’t overlook simple solutions as well. Did you know that you can put a layer of bubble wrap on the inside ofyour windows with just a damp cloth? The bubble wrap acts as extra insulation and still lets light shine in. So does creating a window cover such as a piece of Styrofoam foamboard cut to the size and shape of your window, covering with some fabric (for aesthetics) and set in place. In a pinch you can even hang quilts and blankets over the windows. This also works to insulate cold walls and is quite helpful should you need to move everyone to one room (such as during an ice storm without power of any kind). Anything you can do to avoid heat loss will help knock down the amount of money you need to shell out to keep your family warm.